…and so the good Senator Chiz Escudero wanted to know who among the prosecution panel in the Chief Justice Renato Corona impeachment trial was responsible for leaking to the media allegations that the Chief Justice owned 45 properties which were at yesterday’s trial seen to be just above twenty. Congressman Niel Tupas Jr. of the prosecution, at the podium to respond to the senator’s question, denied that it was the prosecution that leaked the allegations to the media. Around the Senate courtroom, muffled but nonetheless audible, instantly reverberated low-pitched heckling. Everyone had seen Tupas and company on television in a pose holding up some document after making the allegations that Escudero was referring to earlier. For their efforts, Tupas and the rest of the prosecution were duly censured by the Senate for making public statements on the yet-to-commence trial. 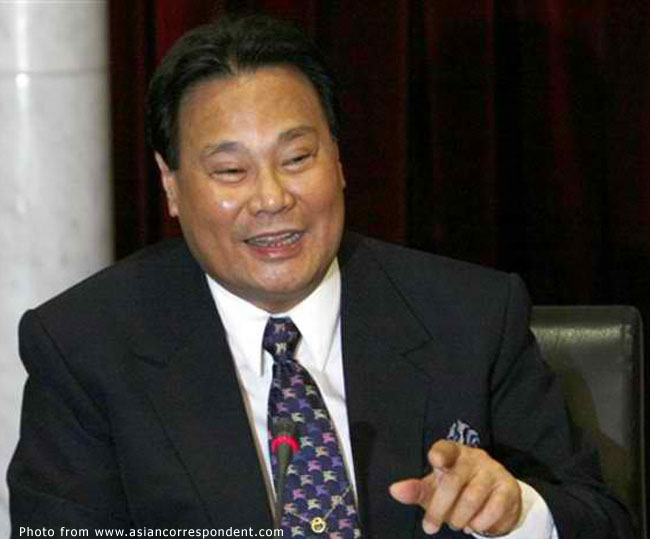 After a recess, Senator Jinggoy Estrada picked up from where Escudero left off and asked Tupas – was I the only one who detected the sarcastic tone? – if, indeed, that was not him and his cohorts posing for cameras after a media conference. Estrada was careful to point out that he was not defending Corona; wary, perhaps, of doing a Drilon in asking questions that might be construed to be favouring one side. He was merely stressing the need for fairness, Estrada pointed out. Tupas denied knowledge of any picture taken by the media or a conference being held. 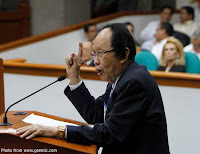 Instead, he told Estrada that the alleged 45 properties were from a list purportedly generated by the Land Registration Authority (LRA) which was then attached to a subpoena filed by the prosecution. Was I the only one who, while watching the proceedings, had this sudden and urgent need to gag Tupas with masking tape? He looked and sounded like a cheeky little imp who was caught shoplifting in a store and who had the utter gall to deny the theft, all the while holding the pilfered candy in his pocket. Tupas had a point when, under his breath, he tried to ask if 24 was any less grave than 45 – something which, thankfully, Estrada either did not hear or did not see fit to dignify with a reply. For crying out loud, though, for days on end Tupas and company in the prosecution panel have been carrying on to the death about Corona’s alleged dishonesty. “He who is without sin among you, let him be the first to throw a stone at her.” Need I say more? Or has reading the Bible gone totally out-of-fashion? 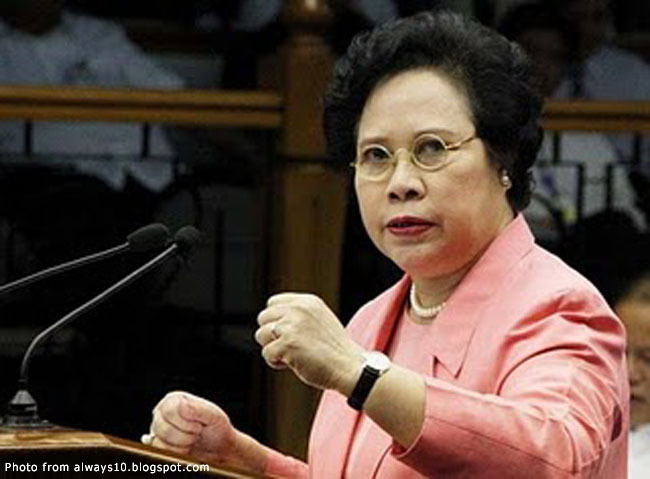 At any rate, apart from driving Senator Miriam Santiago’s blood pressure way above safe levels – and denying the court some much-needed character and colour – all the prosecution has really achieved so far is to sow the seeds of doubt in the minds of the public without substantive evidence to support its allegations. If anything, the prosecution has even shown at times an unwitting tendency to make life easier for the defence. Take the testimony of Megaworld’s Noli Hernandez, a witness for the prosecution whose statements were hilariously mostly in favour of the accused. The prosecution was so alarmed by what the witness had stated under oath and on record that it sent private counsel Joseph Perez to question him again. The latter’s line of questioning was so apparently hostile that Presiding Judge Juan Ponce-Enrile felled impelled to ask Perez if he was trying to impeach his own witness. It was comical! Of course, the real story was that Hernandez arrived a day earlier than the prosecution expected; and so there had not been time for the latter to confer with him. Not that even this lame explanation will even detract from the general impression that the whole trial has been so far been a case of boys against men. There are those who say that Defence Counsel Serafin Cuevas – who, of course, came with quite a reputation already – has been elevated to rock star status by his performance in the trial. Even if his diction leaves a lot to be desired, he has been sharp, polite, witty and irreverent at times. He even once in a while tries to excuse his age and his fading memory; albeit, I would not be fooled by that because he remains sharp as a razor. Not that it has been Cuevas’ show so far. On the contrary, the defence is a long way yet from presenting its story; so it has really been all about the prosecution. If at all Corona is acquitted – and I make no judgments for or against his ‘guilt’ – it will be mostly from the prosecution’s inability to make a solid case of all its accusations. The prosecution, perhaps, has been scoring a point here and there in the field of public opinion; but in the Senate courtroom, it is evidence that matters the most and it is in this regard that the prosecution has so far failed to sharpen its sword. Credit must be given to most of the Senator Judges who have risen above party affiliations to give the impression of a fair and credible trial; and Senator Ponce-Enrile – at least to my mind – has been sensational. If I am reading the sentiments of many of the Senator Judges right, then there is growing despair that they are being taken for a ride by what has so far been a disjointed case being presented by the prosecution. It is significant to note that primetime news shows devoted practically their entire shows to the coverage of the impeachment during the first two weeks of the trial. These days, coverage has been relegated to just a few clips in the middle of the show just before the entertainment news.